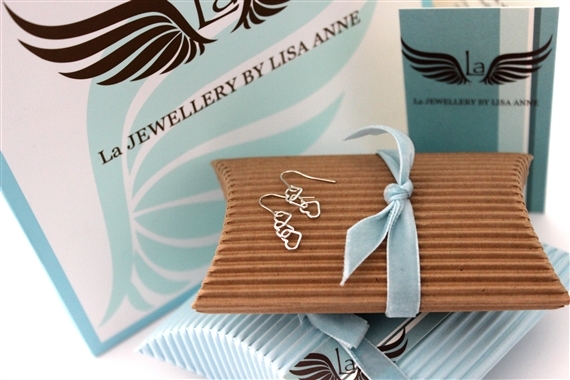 Recycled silver hoops approx. 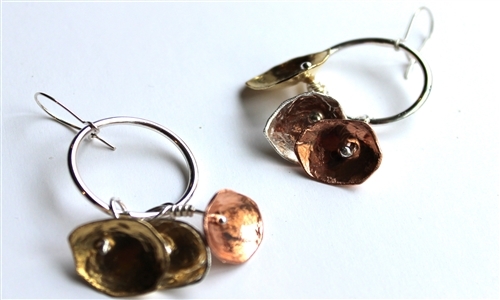 15/18mm wide and three little copper silver and brass flowers dangle freely. Categories: 5. 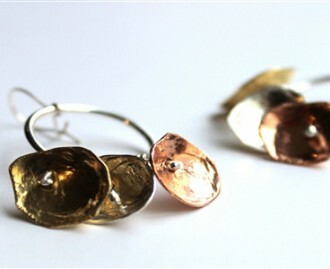 Earrings, Amanda Hamilton, Jewellery. 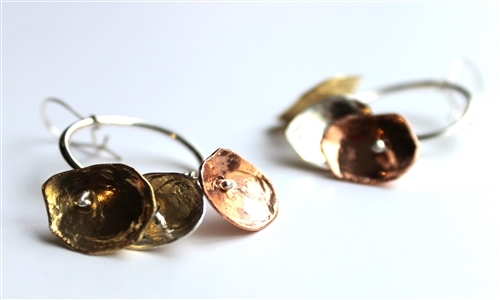 Tags: amanda hamilton, brass, Copper, earrings, ETHICAL, FAIR TRADE, HAND MADE, Nectar, Nectar Collection Silver Brass and Copper Necklace, recycled, SILVER, UK, wholesale.